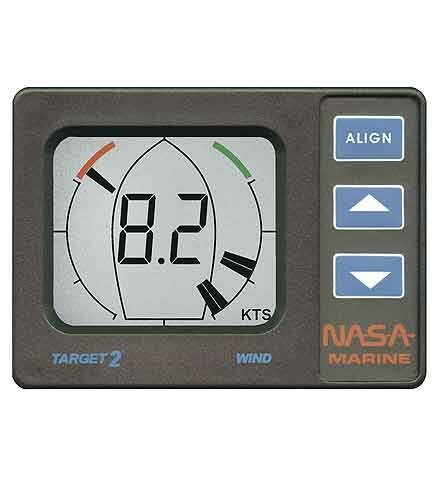 The initial set-up aligns the boat`s head with the wind indicator thus enabling the mast head unit to be mounted in any convenient orientation. 360° display of apparent wind and digital windspeed. 12mA consumption, dimensions: 13 x 10 x 3cm. Weiterführende Links zu "TARGET/CRUISER Windspeed/Direction"